Scientists at The University of Texas at Dallas have received a federal grant to investigate how carbon nanotubes — tiny carbon nano tech structures used to manufacture of many everyday products — might pose a risk human health. Dr. Paul Pantano, associate professor of chemistry, and Dr. Rockford Draper, professor of molecular and cell biology, at UT Dallas, recently received a $459,000, three-year grant from the National Institute of Environmental Health Sciences (NIEHS), part of the National Institutes of Health, to track how multi-walled carbon nanotubes interact with human cells. Dr. Pantano is also site director of the Robert A. Welch Foundation Summer Scholar Program. Carbon nanotubes (CNTs) are members of the fullerene structural family — tiny hollow cylinders formed from one-atom-thick sheets allotropes of carbon. The name is derived from their long, hollow structure with walls formed by carbon-based graphene. Multi-walled carbon nanotubes consist of more than one such cylinder nested together, one inside another, like Russian nesting dolls. 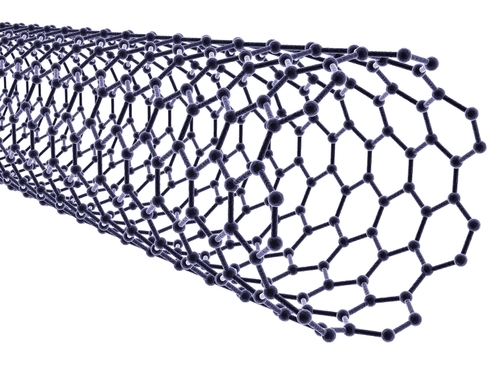 According to Wikipedia, Carbon nanotubes have been constructed with length-to-diameter ratio of up to 132,000,000:1, and have unusual properties, which are valuable for nanotechnology, electronics, optics and other fields of materials science and technology. 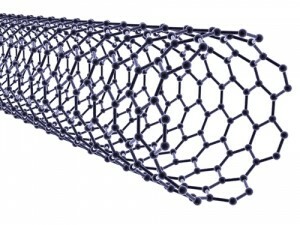 Multi-walled carbon nanotubes are very strong and in particular, owing to their extraordinary thermal conductivity and mechanical and electrical properties, they have physical and electrical properties that make them desirable for use in a variety of applications, such as serving as additives to various structural materials. “They’re often used in materials to enhance structures and make them stronger, ranging from tennis rackets and bicycle parts to structural components in airplanes,” Dr. Draper says. Other applications for nanotubes include forming a tiny portion of the material(s) in some (primarily carbon fiber) baseball bats, golf clubs, or car parts. Dr. Pantano’s research involves elucidating the intracellular response and fate of carbon nanomaterials (e.g., carbon nanotubes and graphene oxide), and advancing the diagnostic and therapeutic applications of carbon nanomaterials. Our areas of expertise include the characterization of carbon nanomaterials, the reproducible preparation of purified nanomaterial samples, and the development of direct and label-free measurements of nanomaterials inside living cells and tissue. The driving force of his PantanoLABO at UT Dallas is development of elegant analytical techniques and methodologies to understand complex chemical systems. The lab’s research goals include elucidating the intracellular response and fate of single-walled carbon nanotubes (SWNTs), and advancing the diagnostic and therapeutic applications of SWNTs. The areas of expertise include the characterization of SWNT materials, the reproducible preparation of purified SWNT samples, and the development of direct and label-free measurements of SWNTs inside living cells and tissue. Dr. Draper’s research interests are the molecular mechanisms of membrane trafficking in eukaryotic cells and applications of molecular and cell biology to the emerging field of bionanotechnology. Biology projects currently underway in his lab at UT Dallas include the use of small interfering RNA (siRNA) fragments to suppress proteins involved in membrane traffic and the study of coat protein that function in the Golgi complex. Bionanotechnology projects include interfacing proteins with carbon nanotubes and the use of nanoelectrodes to study neural function. The grant is an Academic Research Enhancement Award (AREA), and an important focus of this type of grant is supporting undergraduate researchers. The purpose of the NIH Academic Research Enhancement Award (AREA) program is to stimulate research in educational institutions that provide baccalaureate or advanced degrees for a significant number of America’s’s research scientists who have not been major recipients of NIH support for up to three years. This program expires September 8, 2016 unless reissued. 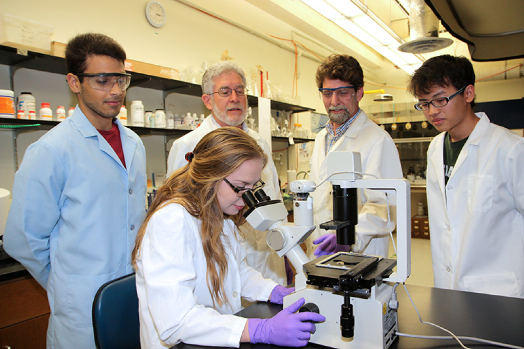 The AREA program supports small-scale research projects in the biomedical and behavioral sciences conducted by faculty and students at educational institutions that have not been major recipients of NIH research grant funds. Students will work on the project alongside faculty members, graduate students and lab personnel, including biology research associate Dr. Carole Mikoryak and chemistry research scientist Dr. Ruhung Wang. The UT Dallas researchers are using advanced microscopy techniques to track the presence of carbon nanotubes in cells and study their potential toxic effects. This slide shows where carbon nanotubes accumulate in a rat cell. The highest concentrations in this cell are shown in yellow. Dr. Draper observes that one prevailing theory is that multi-walled carbon nanotubes can enter cells and irritate them to the point that the cells secrete chemicals called cytokines, which promote inflammation. Drs. Draper, Pantano and their colleagues will carry out precisely controlled experiments on cells to determine how multi-walled carbon nanotubes get into human cells, how much gets in, and where the carbon material accumulates. To do this, they will use a technique called laser scanning confocal Raman microscopy, a relatively new approach to cell imaging. Using a microscope upgrade funded by the office of the dean of the School of Natural Sciences and Mathematics, the team will use a technique they invented to distinguish multi-walled carbon nanotubes from other types of carbon found in human cells. The Welch Summer Scholar Program (WSSP), sponsored by the Robert A. Welch Foundation of Texas, has been active for 30 years, and to date, the WSSP has given more than 1,500 students across the state of Texas unique opportunities to emerge in the field of science engaging them in hands-on, college-level research projects using state-of-the-art equipment and modern technology not typically found in high-school classrooms. Selected students from various high schools across Texas participate in a five-week summer residency program engaging in one-on-one mentoring and first-hand research training with professors and graduate students at one of five Texas universities. Participating institutions include The University of Texas at Austin, The University of Texas at Arlington, The University of Texas at Dallas, The University of Houston and Texas Tech University. The primary goal of WSSP is to expose talented and inquisitive students to professional researchers in professional laboratories giving them a glimpse into research and life on a college campus. Through assignments, authentic research projects, guest speaker series, tours of chemistry-based research facilities and presentations of personal research findings, students leave the program with a better understanding of basic chemistry and many with a desire to pursue science and engineering degrees in college. Students selected for the WSSP are chosen on a competitive basis, evaluated by a selection committee made up of program coordinators at each of the participating universities. The committee considers various factors in their selection including the students’ SAT scores, their academic standing, leadership potential and teacher recommendations.